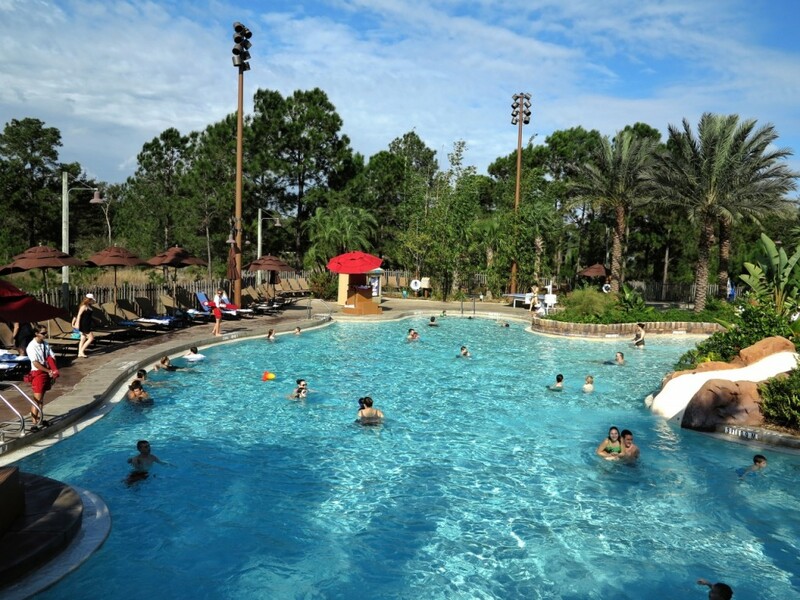 The promise of warmer temperatures to come has me daydreaming about the pools at Walt Disney World. Oh, how I’d like to be sitting by the pool feeling that warm sunshine right about now. 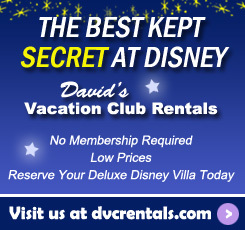 I think this would be a good time to take a peek at the pools at another Disney Vacation Club resort. 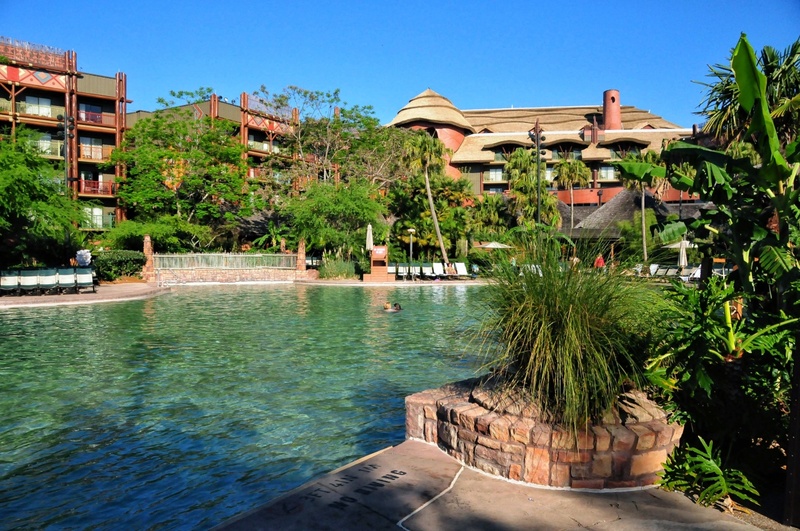 Disney’s Animal Kingdom Lodge boasts two beautiful pools – one at Jambo House and one at Kidani Village. 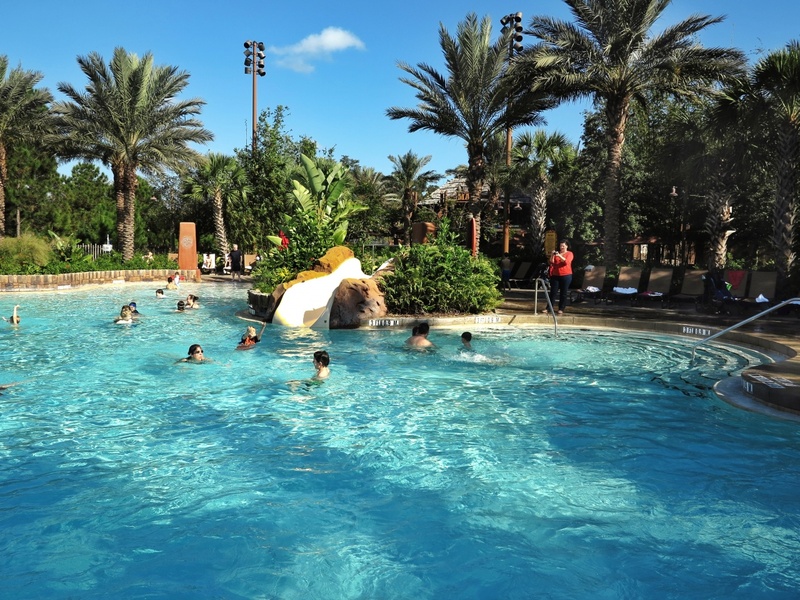 Uzima Springs Pool at Jambo House (number 1 on the map) is more than 11,000 square feet, making it the largest pool on the Walt Disney World property. I love the “zero-depth entry” which means that you can walk or wheel right into the pool without having to negotiate any steps. It’s great for people like me who prefer to gradually get used to the water by slowly inching our way in. 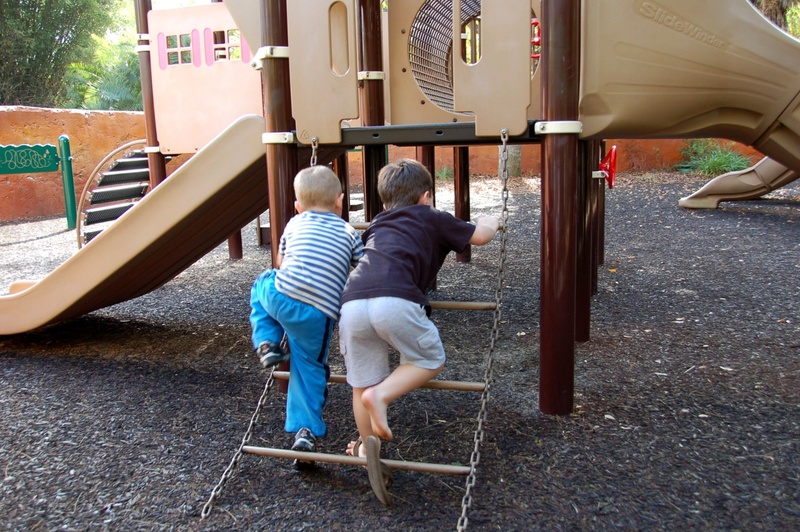 For a more adventurous entry, try the 67-foot slide. 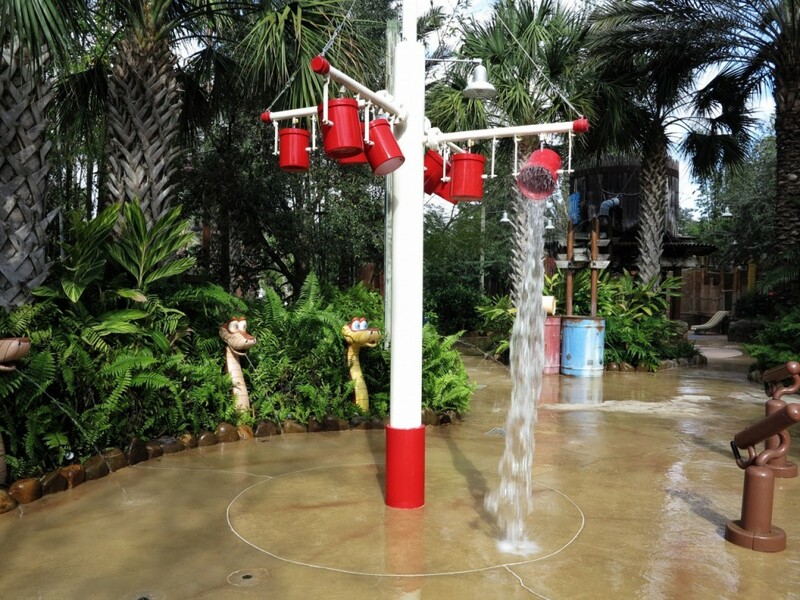 Little ones enjoy the children’s wading area and playground. 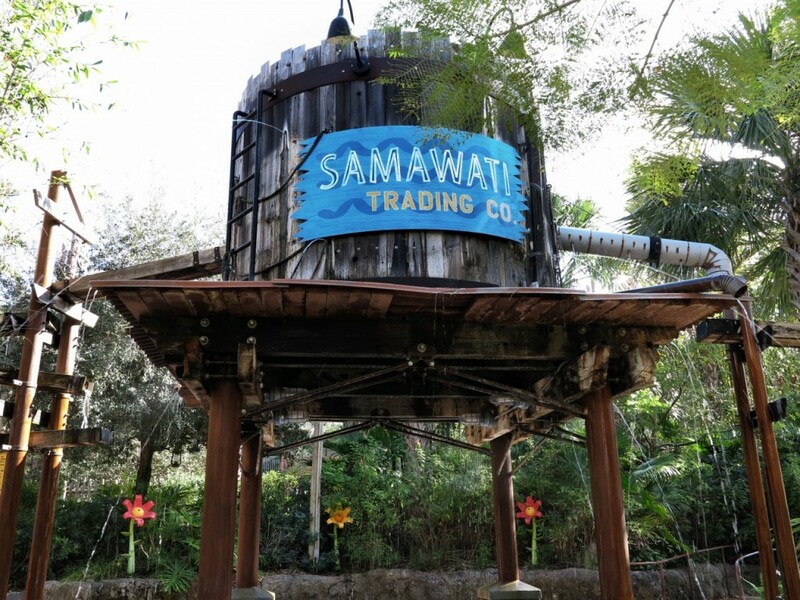 When you’re ready to relax in some nice warm water you’ll find two outdoor spas. There’s the Uzima Springs Pool Bar when you’re ready to wet your whistle. 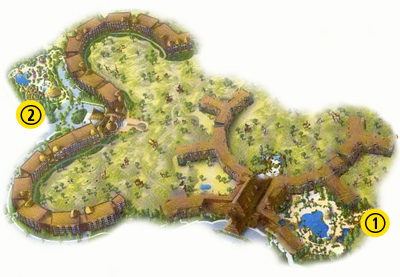 Samawati Springs Pool at Kidani Village (number 2 on the map) is also a zero-depth entry pool. 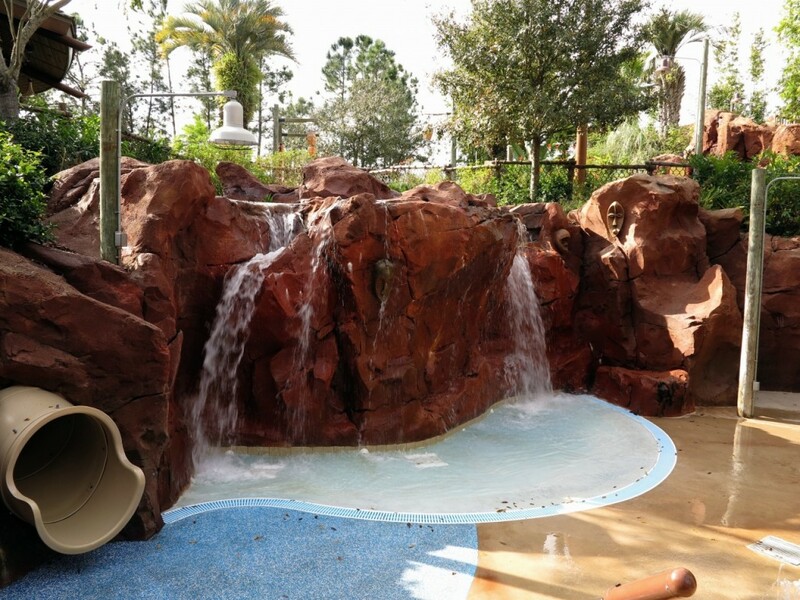 It’s smaller than the Uzima Springs pool at 4,700 square feet, but has a 128-foot water slide! There are two whirlpool spas here as well. 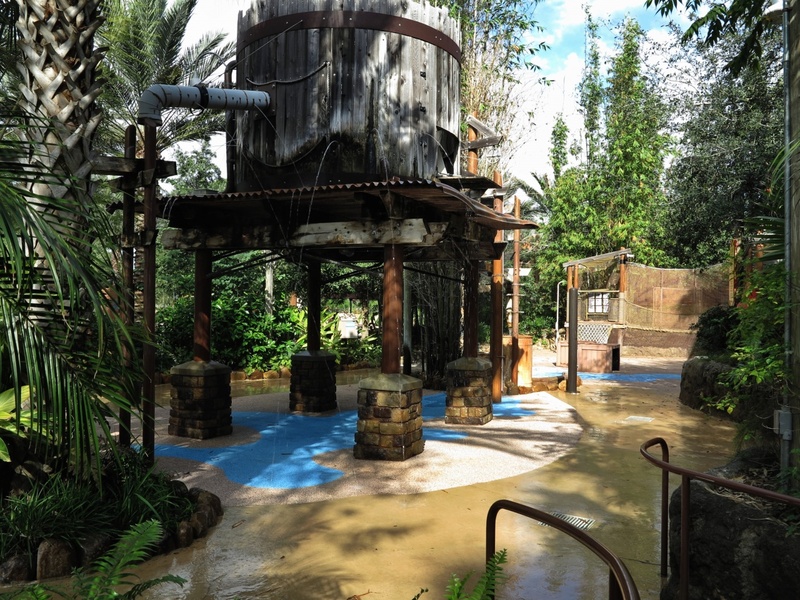 Uwanja Camp is a fantastic children’s play area and splash zone. For a refreshing beverage or snack, try the Maji Pool Bar. 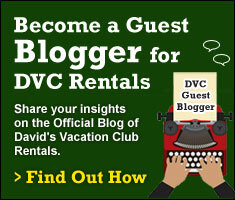 Check out this previous post for a glimpse of the Beach Club Pools. 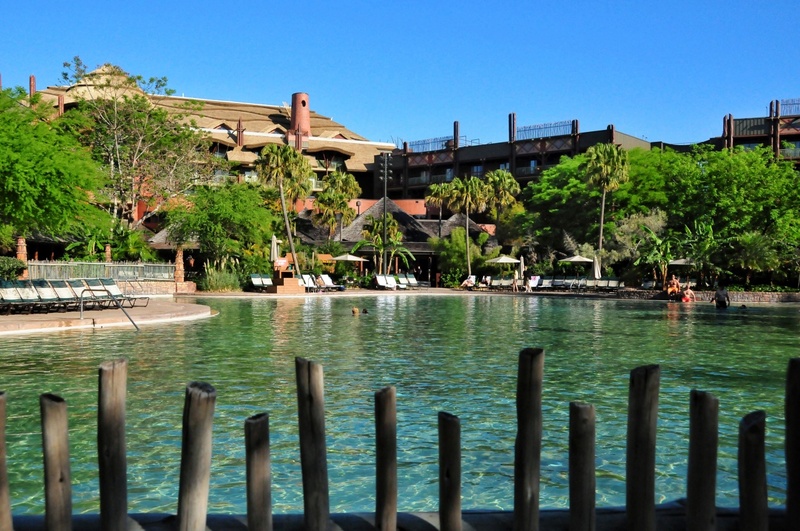 12 thoughts on "Pools at Disney’s Animal Kingdom Lodge"
We’re staying at AKL for the first time in May….so, so excited!! 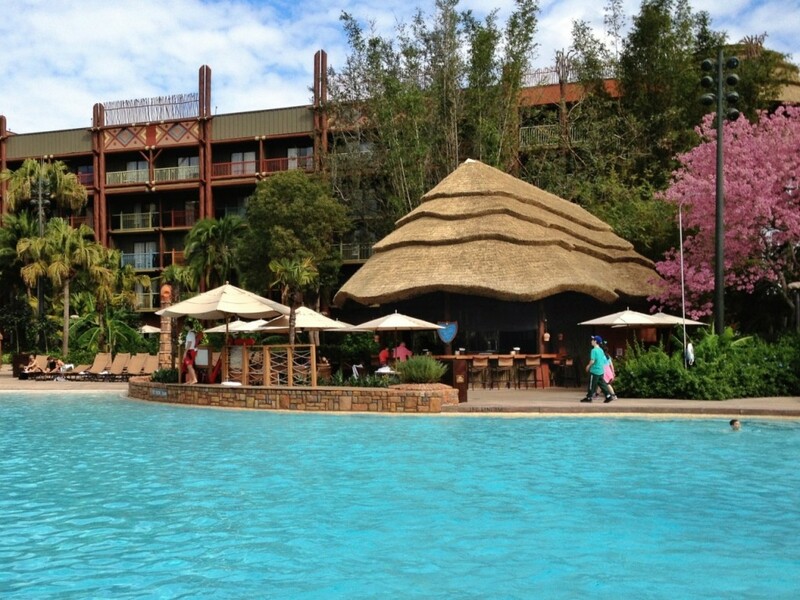 People were swimming at Jambo house yesterday. We stuck to the hot tubs. This is amazing!! I cannot wait!